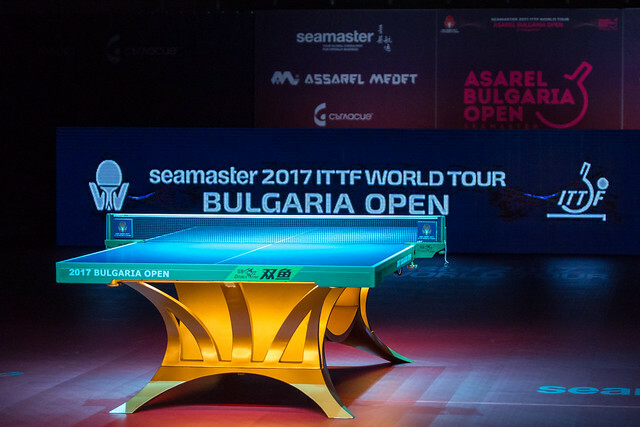 The Men’s Singles gold medal has gone to Dimitrij Ovtcharov in Panagyurishte, after the German star saw off Japan’s Kenta Matsudaira to lift the trophy on the concluding day of play at the Seamaster 2017 ITTF World Tour Asarel Bulgaria Open on Sunday 20th August. Spectators witnessed a terrific display of world class action in the final as the top seed Dimitrij Ovtcharov and the second seeded competitor Kenta Matsudaira played out a highly entertaining match of table tennis. Heading into the match the two players had met on seven occasions at world rankings competitions with Dimitrij Ovtcharov holding the far superior head-to-head record against Kenta Matsudaira. Now the German has now extended his record to seven wins in eight fixtures against the Japanese contestant with a fine display in the Men’s Singles final in Panagyurishte. Kenta Matsudaira actually made the stronger start to the final and managed to edge ahead after claiming the opening game by a two point margin. The opening game defeat was an early setback for Dimitrij Ovtcharov, but the German star didn’t let it impact his game plan and eventually found his stride. Four consecutive game wins followed for Ovtcharov as the top seed emerged triumphant across five ends (9-11, 11-7, 11-4, 11-9, 11-9). Dimitrij Ovtcharov has eight ITTF World Tour Men’s Singles titles to his name, and has now appeared in 14 Men’s Singles finals on the Tour. The German also lifts his third Men’s Singles trophy of this year having prevailed at the Seamaster 2017 India Open in New Delhi and the Seamaster 2017 China Open in Chengdu. Again Kenta Matsudaira has missed out on lifting the Men’s Singles trophy in Bulgaria, having lost out at the 2015 edition of the competition at the final hurdle.